Dragon Quest X is an online game. And for the past year, the game's real money trade (selling virtual items for real cash) has been a problem in Japan. And this might be why. Above you can see a room supposedly filled with 100 Wiis. It seems that Dragon Quest X bots are farming gold, the game's currency. 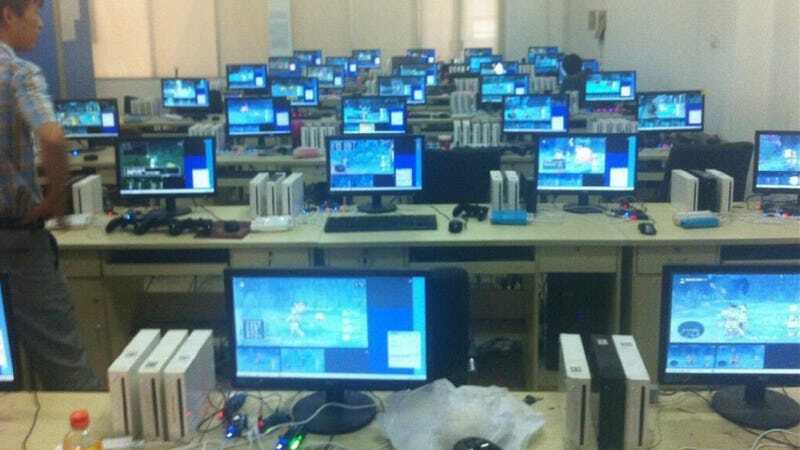 An individual tweeted the photos to Dragon Quest X's producer, pleading for a fix to deal with this. The Twitter user appears to have created the account to post only these photos.